The Arab invasions ended the Sassanid Empire in 651. 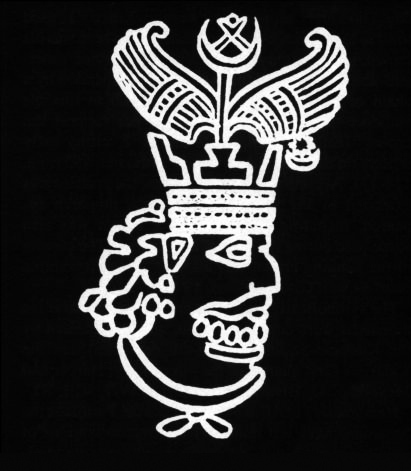 After being crushed by them in battle, the last Sassanian Shah Yazdegerd III was assassinated at Merv. 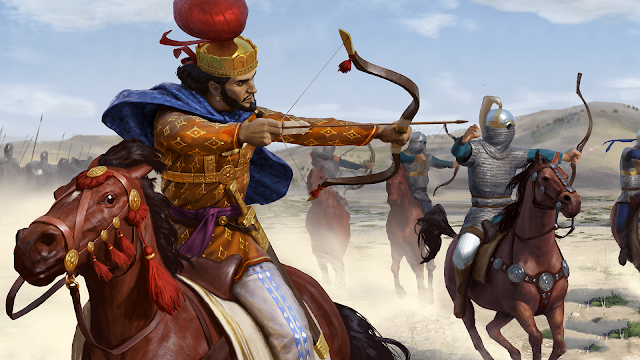 With the death of the last Shah and the subsequent Arab takeover of the Persian realm, the Sassanid Empire quickly crumbled. But it would not be the end for the children of the murdered Shah. 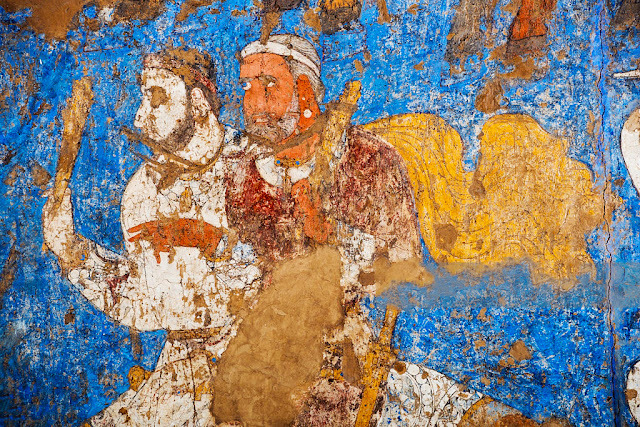 A Sassanian Prince and the eldest son of Yazdegerd III, only a teenager by the name Peroz (sometimes rendered as Firuz) escaped across the Pamir Mountains to Tang territory. With him came some of the last remaining Sassanian royal family and what was left of the imperial court. 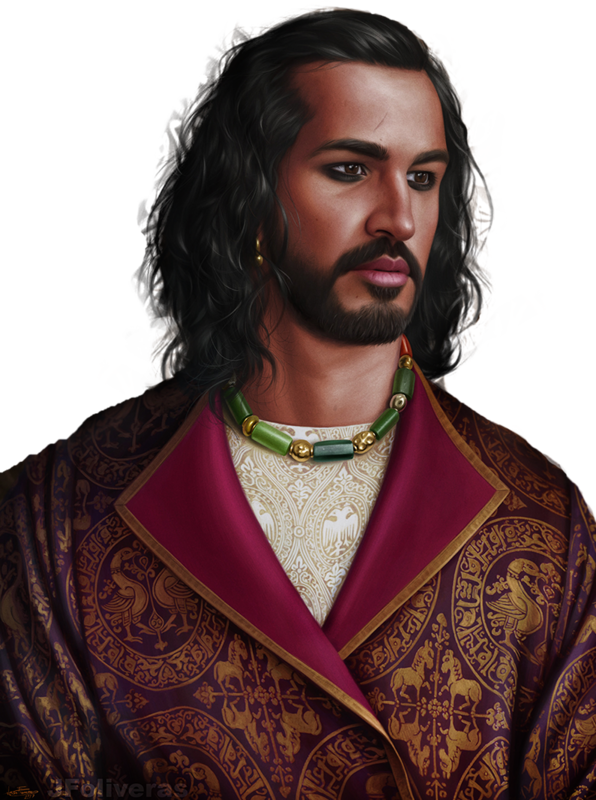 His brother Bahram, also one of the last sons of Yazdegerd followed him with the courtiers. 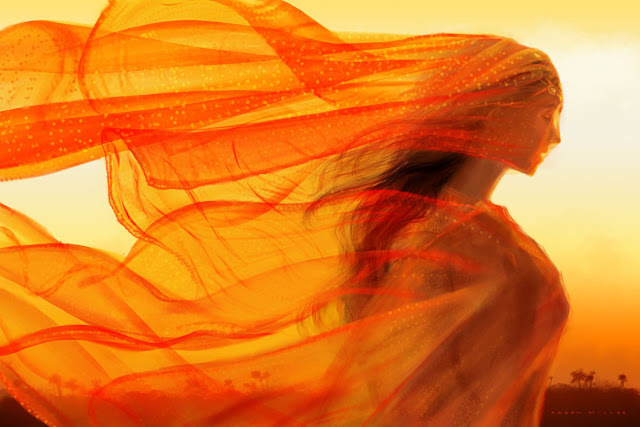 There are somewhat diverging version of Peroz' life between the Old Book of Tang and the New Book of Tang, however for the majority of our account we will mostly rely on the New Book of Tang- since often it's more reliable than the Old Book of Tang. The majority of Peroz's life was documented by his son Narseih. According to the consensus tallied between both the Old Book of Tang and the New Book of Tang: while escaping from the Arabs, Peros was able to find protection in Sistān- in modern Afghanistan with the help of the Turkic rulers of Ṭoḵārestān (Old Book of Tang claimed he was held hostage by them and then escaped his captors.) These were local rulers in service of the Tang empire- although they are free to rule as kings in their respective domains, they were vassals to the Tang. 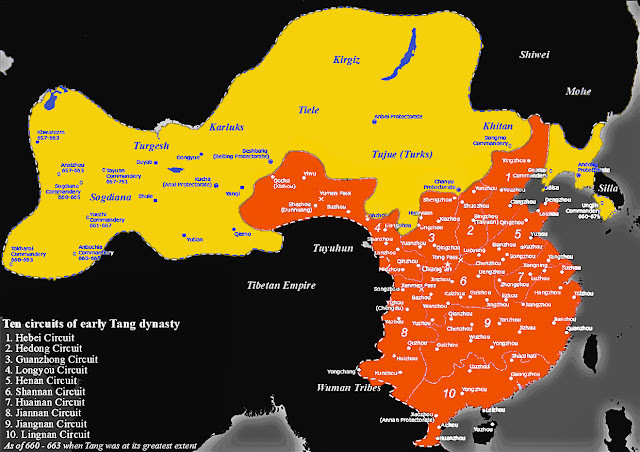 After the defeat of the Western Gokturk Empire between 657 and 659, the Chinese were actively reorganizing their conquered protectorates in what is modern Afghanistan- it was in this context where the Tang were tallying all the significant players and vassals in the region that Peros sought to make himself known to the Tang. During his stay in this region, sandwiched between the Arab and Tang forces, Peroz sent several embassies in the years 661-64 to the Tang Emperor Gaozong (reign. 650-83) requesting Tang intervention against the Arabs. a staging ground for a Tang intervention to recover the lost Persia. Gaozong recognized Peroz's station and wrote back, but because of the rapid gains the powerful Arab Umayyad Caliphate had made across the entire western front of the Tang, Gaozong hesitated to respond with full force. The Umayyad were probably the first empire since Alexander to quickly conquer the lands of 3 continents from southern Spain and north Africa to nearly all of the middle east. 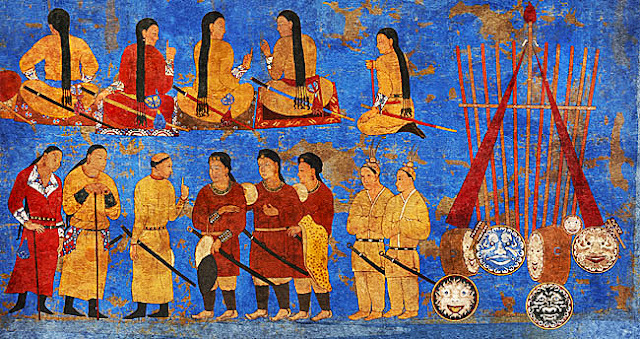 During these first diplomatic ventures Peroz was recognized in 661 by the Tang court as the head of the 波斯都督府 ‘Persian Regional Command’ (Bosi dudufu). The city of Zaranj in Sistān became the capital of that province, and Peroz was recognized as its governor. 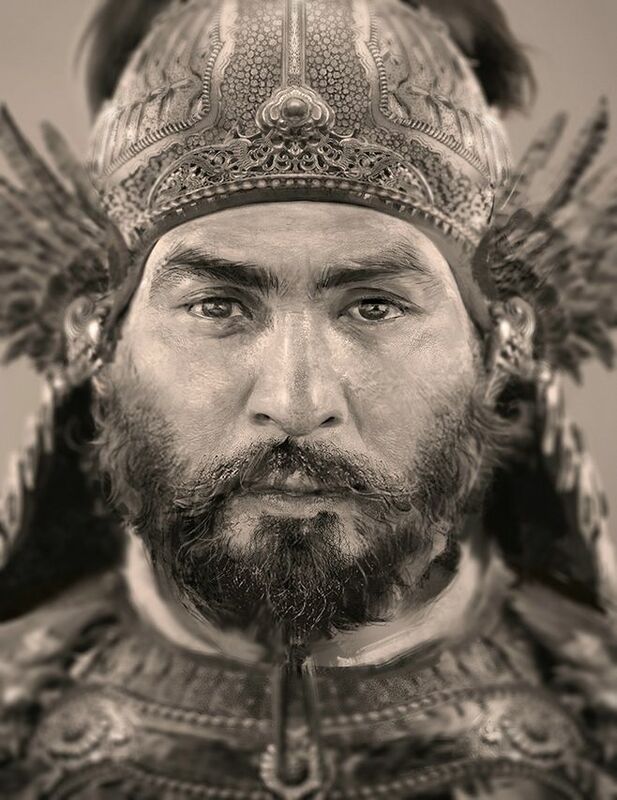 His initial appeals were not a fruitless venture, in 662 Gaozong accorded to him the title of ‘King of Persia’ (波斯王), a hereditary title- so for this reason he should be regarded as Peroz III, his brother Bahram too was given a royal recognition and was styled as Bahram VII. The sister of the Sassanian prince was married to Gaozong, further strengthening the bond of the two dynasties by blood. The Chinese had by this time established garrisons (some financed by Peroz himself) in what is today Tajikistan, eastern Afghanistan and parts of Uzbekistan with Sassanian refugees and Turkic mercenaries that served the Tang. For a while they contained the Arab advance. It is not without significance that the present population of Zaranj consists of 44% Balochis, 34% Pashtuns and 22% Tajiks. Unfortunately, all of Peroz's early gains would be undone by forces greater than his control. In 670 the Tibetan empire smashed a large Tang column near the Qinghai Lake and completely cut off all of the Tang holds in the Tarim Basin plus all of the regions beyond it in the west. A vital region of millions- including all of Peroz's lands thus lost contact with the capital. 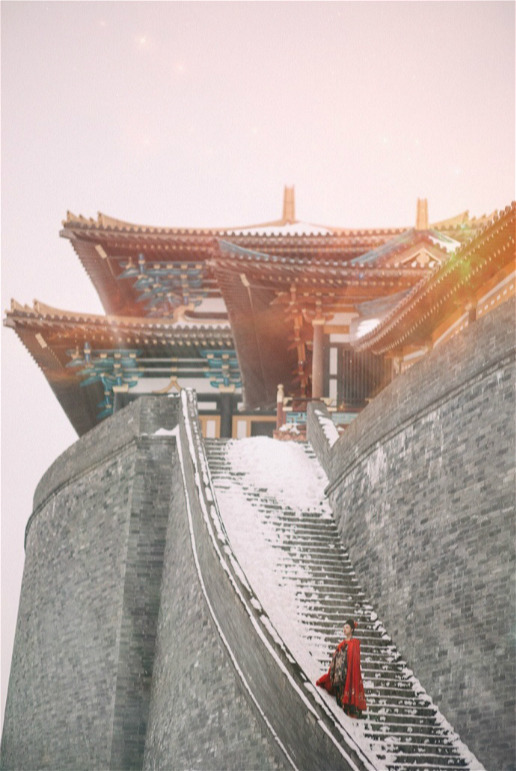 Later in the decade the Tibetans would also take Kucha- the headquarter of the Tang Anxi Protectorate that controlled the outlying western regions. The west had gone dark. The Tibetans succeeded so often in this weak point that many times the western regions were left without any contact with the imperial capital. As a result the western regions developed countermeasures to continue function autonomously even should they be cut off from the Tang heartlands. For the entire decade of 670s the Tang and Tibetan wars would sway and arc back and forth like two raging serpents, winning then loosing whole areas, to cripple the Tang, Die, Fu, and Jing prefectures. Fengtian and Wugong were sacked by the Tibetans and many towns were completely burned to the ground. Kucha- the headquarter of the Tang in the Tarim Basin and the overall command post of the Anxi Protectorate in the west would exchange hands several times between Tibetan and Chinese hands. In this environment reinforcement and supplies nearly stopped coming to relieve the Tang forces in the west. In this environment- Peroz did what he could and pulled his forces gradually out of the overextended areas. But that was not his only challenges. The Turkic people in western Tang lands (remnants of the vanquished Western Gokturk Khaganate) too were emboldened by the many Tang defeats, they would soon launch their own rebellion in support of the Tibetans at the end of thr 670s. In this collapsing world order, it was a trial of character. Though for men like Peroz it wouldn't be his first, since he was born in one. Throughout the chaos, he led his small court of exiles. 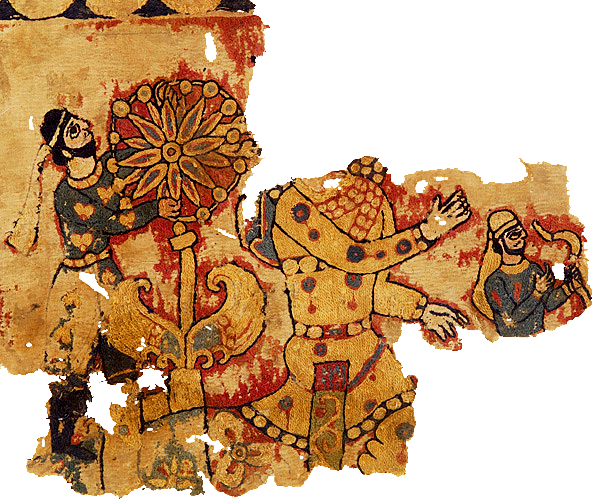 Sassanian textiles that featured an important dignitary, likely a King on horseback flanked by standard bearers adjusting the royal standard and other mounted archers. Peroz did not defect from Tang service even while he was pushed to the limits. He would stay the course in tending to the west. To deal with the rising tide of troubles Peroz's son Narsieh also served the Tang military as a general along with his uncle Bahram VII. According to Peroz's son, he scored over thirty victories in battle over these years. 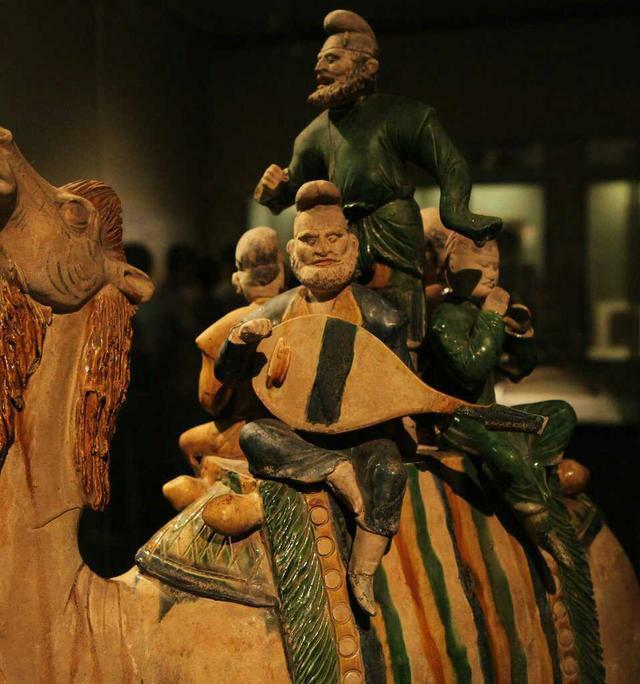 His diligence and persistence paid off when- Peroz himself was welcomed to the Tang capital at Chang An between 673 and 674, and then again in 675. The massive courtyard of the Tang Daming Palace itself was something still astounding to the modern mind, boasting an area of roughly 120 Hectares (of the 350 Hectares Palace), this square of the outlying trapezoidal palace alone was larger than the modern Tienanmen Square, itself being one of the largest squares in the modern world. 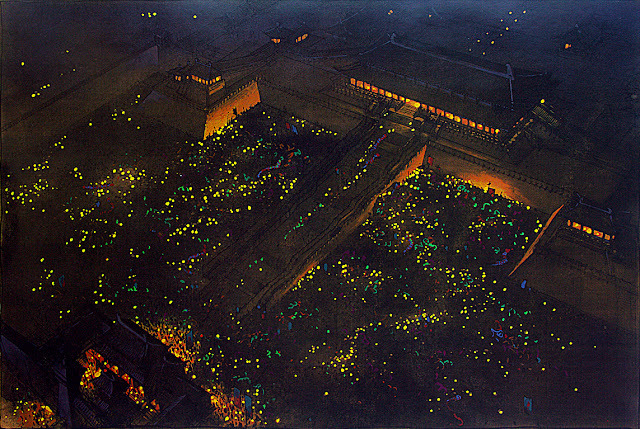 The Daming Palace was also 4.5 times the size of the Forbidden City. According to the diaries of Peroz's son Narsieh, which was written in formal and aristocratic old Tang Chinese, Narsieh described the details of his father's efforts and the the migration of the Persian court to China and also that of his own life in this book. In particular, he also noted the report of that Gaozong had suffered a stroke and left the affairs of the state to his wife, Wu Zetian. religions in the orient did not advocate for the complete rejection of other faiths. and the Buddha merged into one harmonious ideal. Narsieh also wrote that despite the enmity between the Tang and the Umayyads, Gaozong's court in China even allowed the Islamic delegation to establish a mosque while, simultaneously permitted the Persian exiles to stay, on the condition that they all respect Chinese customs and in time adopt Chinese clothing. When Peroz finally arrived in Chang An, Narsieh recorded that in the Chinese capital, Peroz was amazed to find long-established Persian, Sogdian, and Bactrian merchant communities who had settled in China and understood its ways for centuries. Escorted into the Chinese emperor's presence, Peroz was warmly received by Gaozong himself. On both occasions where Peroz met Gaozong he was warmly treated and was accorded the title of 右武卫将军 ‘General of the Right Militant Guard' - A position that entrusted much of Tang's western armies into his hands. Additionally, the imperial court also allowed Sassanian refugees fleeing from the Arab conquest to settle in to settle in 38 villages and rebuild their communities. They were also allowed to set up a royal court in exile. It is further recorded that, in 677, Peroz asked permission from Gaozong to build a 波斯寺 “Persian temple” Bosi si which scholarly interpreted it be considered a Christian church. Syro-Oriental Christians were particularly numerous within the domains of the late Sasanians. During the funeral ceremony of his assassinated father, the service was headed by the Bishop of Merv. 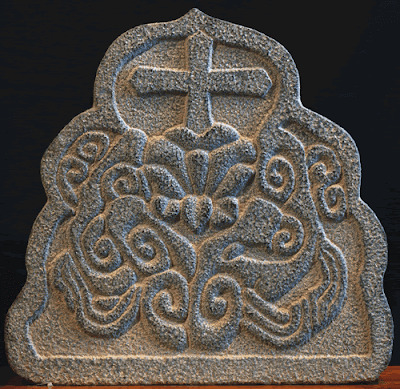 In fact the Persians would be some of the first proselytizers of Nestorian Christianity in China. In 677 the Tibetans once again defeated the Tang army in the Qinghai region, again strangling the Tang regions in the west and forced it to fend for itself. 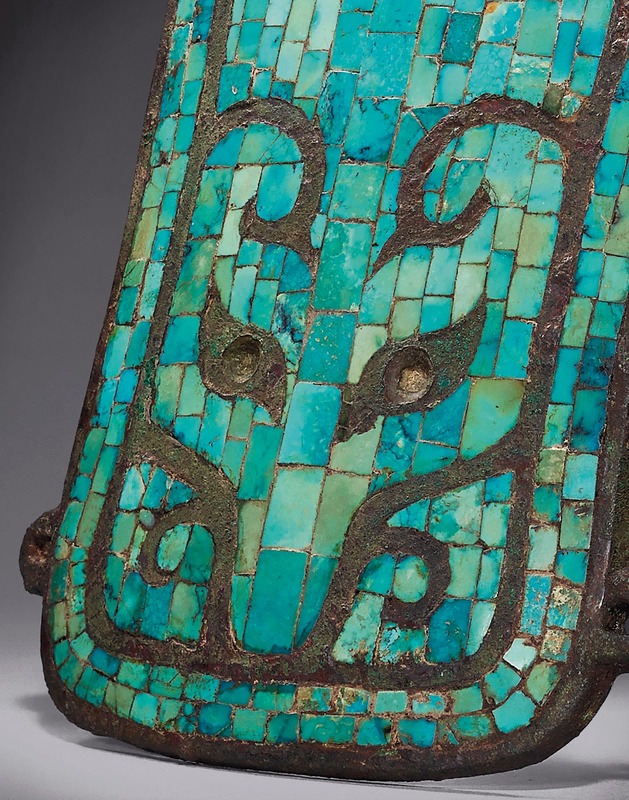 Worse- yet, the Turkic tribesmen of the west now rebelled en mass- the west, from the Ferghana valley to the Tarim Basin, and to the base of the western verges were filled with hostile forces. as well as the cross. Peroz died in 679 at the age of 42 having served as a Tang commander and governor faithfully for twenty years and a protector to the Persians in exile. Today his statue- among a hundred of other statues of Gaozong's allies and vassals was recognizable by the Chinese inscription on the back of its pedestal— it still stood at the foot of the massive tomb to Gaozong and his wife Empress Wu at Qiangling in near the site of Chang An. But for men of duty and war, much works was still to be done. 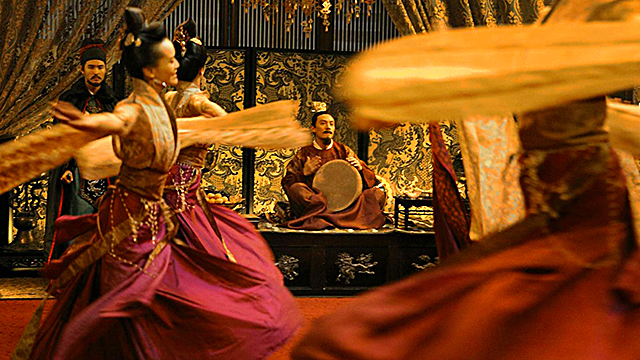 In order to contain the west and restore order to it in the maelstrom of hostile forces after Peroz's death his son Narsieh married a princess of the Tang imperial family and continue his father's work. He served the Tang as another of its imperial generals. 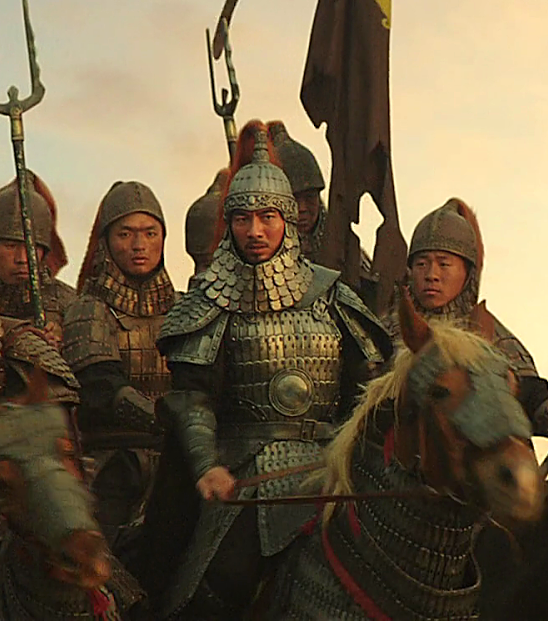 To handle both the massive Turkic rebellion and the ongoing Tibetan incursions which are burning through the western regions, the veteran Tang dynasty general Pei Xingjian proposed a special mission of escorting Narsieh to his homeland and install him as the new Shah. His strategy was to tackle the separate affairs of Persia's throne and quell the Turkic rebels at the same time. 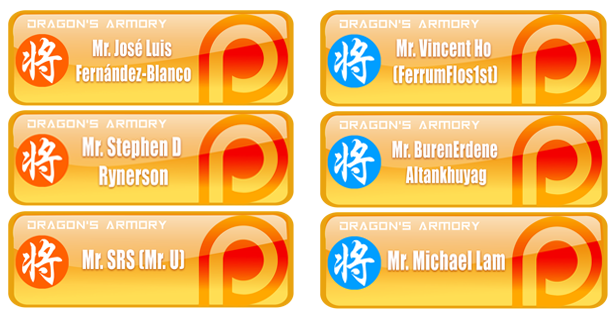 Gaozong not only granted his wish but also gave him the mission of pacifying the turbulence in the middle east.  However, during their journey Pei only made far as Tokhara (Tokmok, Kyrgyzstan- at the time still a backwater Tang military frontier) before he observed exposed defenses in the overall Tibetan and Turkic forces and decided to swung his whole army eastward in a flanking maneuver to stymie Tibetan and Turkic forces. In turn Pei abandoned Narsieh and several thousand of his guards and courtiers in Tokhara to gather an army for themelves. The result of the bold maneuver proved two folds. 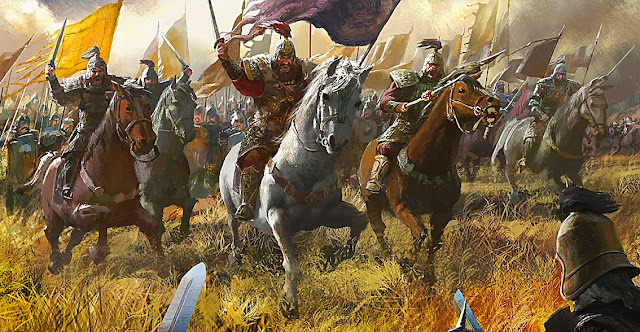 On a grander scale, Pei Xingjian's sudden maneuver paid off, and within that very year of 679, Pei was able to swiftly and decisively destroy 2 massive armies, one led by a Turkic Khan and another of the Tibetan Empire and re-establishes Tang control over the Tarim oasis states. A year later, he was able to utterly smash another Turkic army, letting the defeated Turkic tribesmen to murder its leader, and finally, he was able to force the surrender of the rebel Turkic Khagan: Ashina Funian. 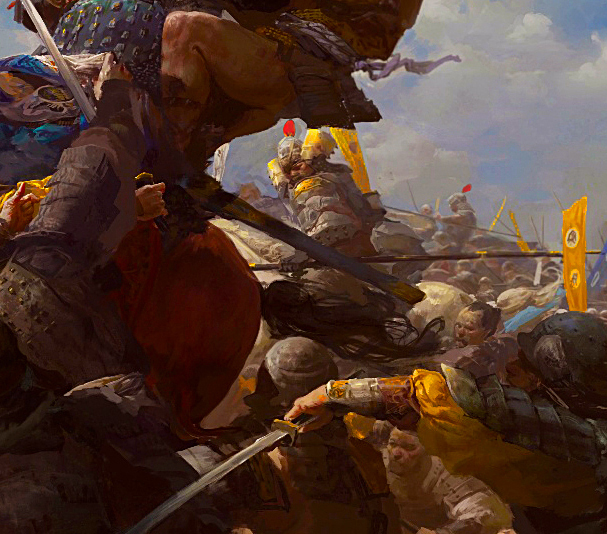 With one sweep, Pei was able to eliminate an entire major faction that was wrecking havoc across the western Tang frontiers- the Turkic tribesmen that remained promptly pledged allegiance to the Tang. 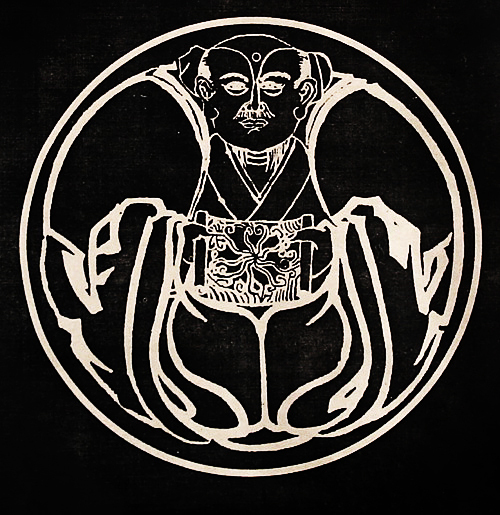 After the rapid series of victories Pei hailed as a national hero, but the Tang court executed the surrendered Ashina Funian despite Pei's protests. For this ignoble act which betrayed his own honor, Pei retired from the army, later writing that he felt deep regret for dishonor. 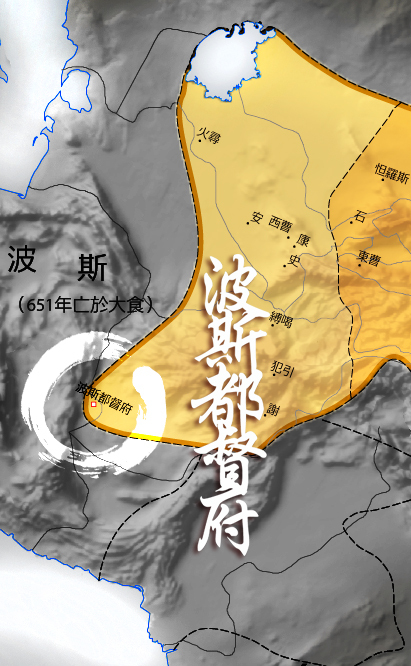 Map of the 10 major Jiedushi and their military strengths during Emperor Xuanzong's reign (as of 745 AD) Powerful jiedushi eventually became fanzhen rulers (de facto warlords) and overrode the power of the central government. An early example of this was An Lushan, who was appointed jiedushi of three regions, which he used to start the An Lushan Rebellion. The Tibetan empire- seeing their allies crushed ramped up their attacks against the Tang and sought a dozen battles, but they too were destroyed- this time by the new ruler of the dynasty Empress Wu. 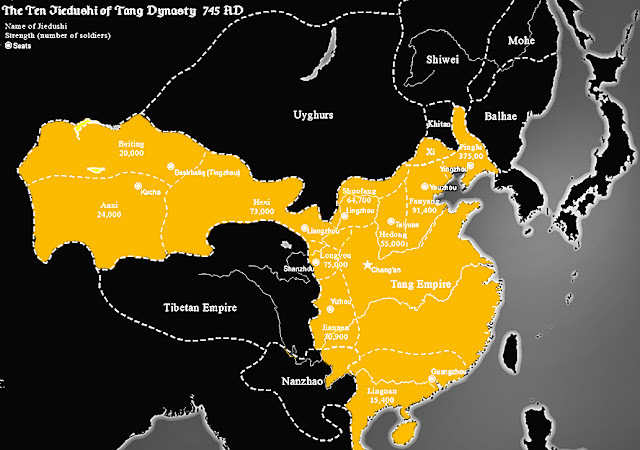 Though the Tang would still spend the next few decades fighting the Tibetans and the newly emerged Turgesh Turks on the western frontiers, for the most part the Tang was able to effectively retaliate and stabilize the west. Although Pei's daring maneuver paid off for the Tang forces, for Narseih, his fortunes fared much differently. Tokhara (Tokmok, Kyrgyzstan- located in the triangle between the Pamir and the Hindukush Ranges and the River Amu Darya) had been one of the outlying Tang vassals and had several Tang garrisons stationed in the region. Narseih was able to entrench his own court beside Tang western border garrisons. 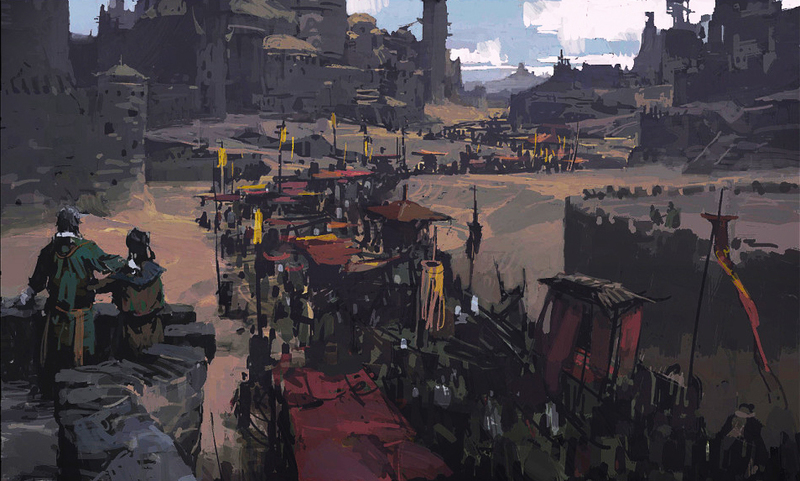 Immediately, he used his vast coffers and began to hire mercenaries from all across the region. They solicited the aid of Turkic lords of Ṭoḵārestān, like his father and fought border skirmishes against the Umayyad Arabs. Although these skirmishes proved inconclusive in the grand scheme of things. A Chinese document discovered in the beginning of 20th century at Astana, near Turfan, makes mention of a so-called 波斯军 Bosi Jun, "Persian army," which crossed the territory of Chinese Turkistan between 677 and 681. Possibly, this event could be identified with the passage of Narseh on his way to reestablish the Sasanian dynasty. 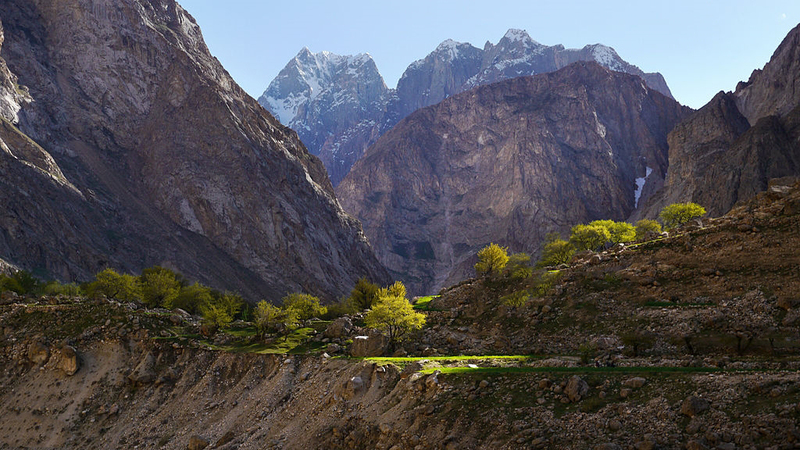 For 20 years Narseih fought on the frontiers. After the failure of his attempt to re-conquer Persia, Narseih went back to China around 707-9 to live the rest of his days as a respected member of the Tang court. 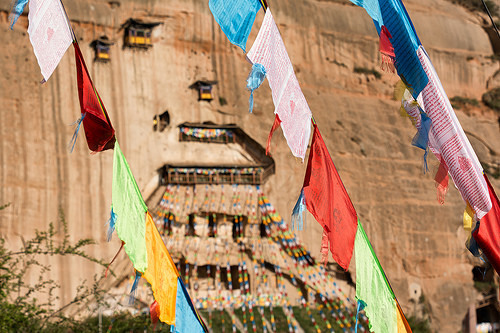 When Narseih returned to the Tang capital it was a completely different world. 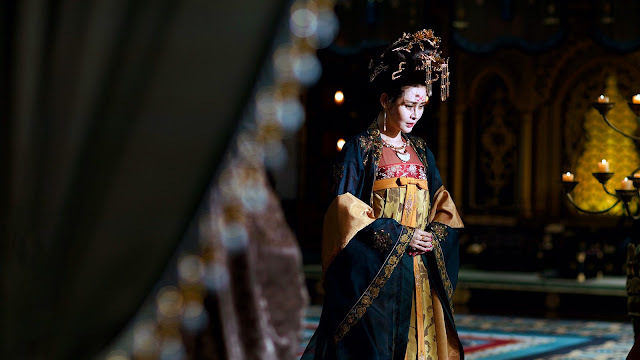 The reign of Empress Wu was over and the realm reverted back to her sons. In many ways Narseih was fortunate to have been stationed away during some of the most intrigue filled years of the Tang history. 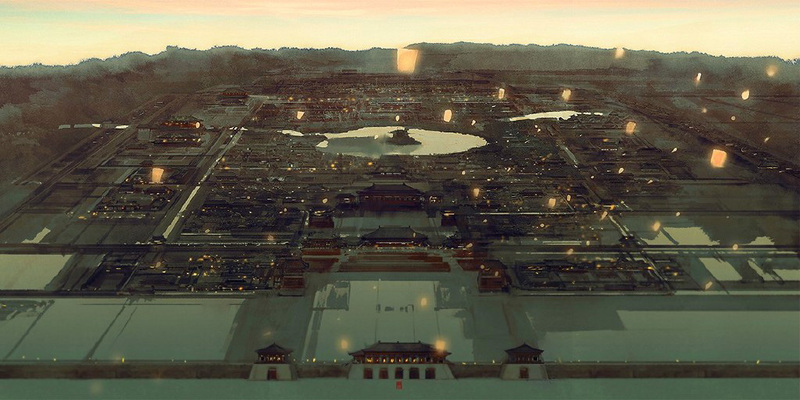 Compared to the long reigns of Gaozong there were many usurpation, purges, assassinations and coups within the Tang court during his absence- where even the nobility and the royalty were slain. Narseih would return a great hero and was welcomed back with the titles of Zuoweiwei Jiangjun 左威衛將軍, or "Awe-inspiring General of the Left Majestic Guards." For his contributions, Narseih and his descendants was conferred the imperial surname of Li and officially became part of the Tang imperial clan. 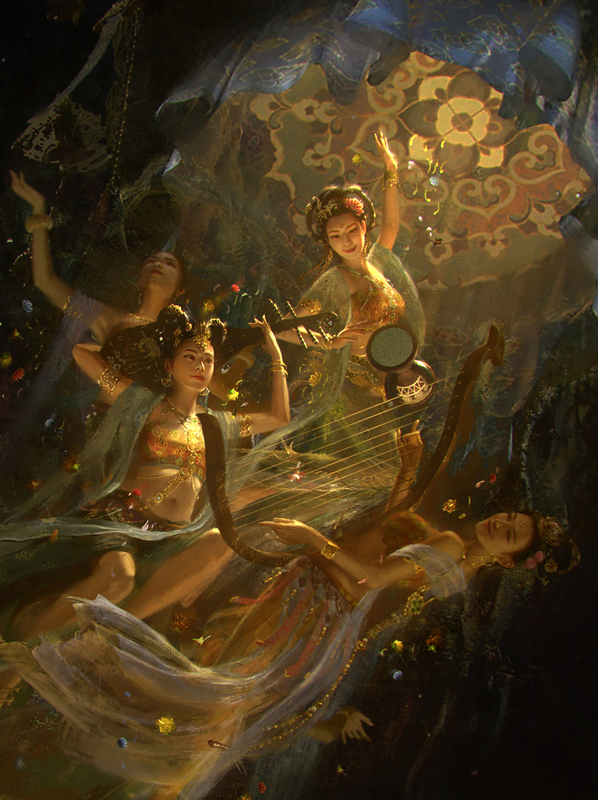 Narseh's daughters and sons all married into Chinese royalty and aristocracy. This was the case with the noble Persian exiles in China. Great article! I learned so much. 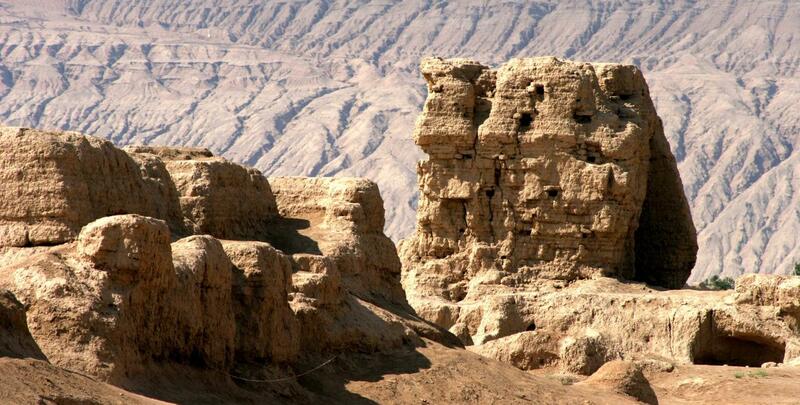 The last remnant of the Sassanians wound up as nobles in Tang China, amazing and tragic tale. To think that Peroz III and his sons and grandsons ended their dynasty being Tang dynasty nobles and having lost their Persian heritage to the Arab Muslims ... I can't help but be sad for them. Hey, if the Jews can reclaim their Promised Land and refound their State of Israel after two thousand years, why can't the Persians right? I've heard that there is a war brewing between the USA and Iran, and the Iranian people have been suppressed long enough by the Shiite Muslims, perhaps it's time to revive Zoroastrianism and true Persia?? Well there are still Zoroastrians in Persia right now, same with the Christians and Yazidis. I'd hesitate to throw my weight behind any intervention, mainly also because Iran as a nation (that still has a degree of voting process) should not be seen as totally belonged to one ethnicity. The Sassanians are the true heirs of Persian civilization, they are the heirs of the Parthians and the Achaemenids who are in turn heirs to Mesopotamian civilization, the first of the Primary Civilizations of Mankind (the others being Egypt, the Indus and China of course). 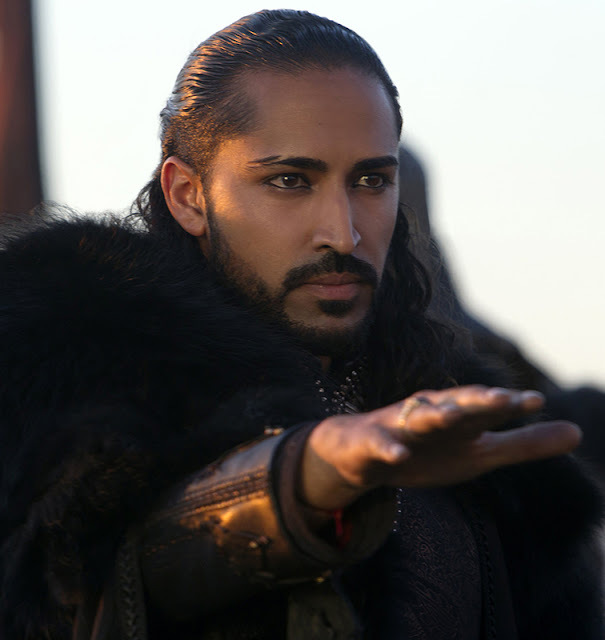 Peroz III is the descendant of Persian King of Kings who humbled Roman Emperors and saw the fall of Rome. Their dynasty deserves the reclaim their legacy surely? ?